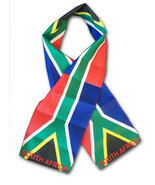 Vibrant colors and unique design make this scarf a great gift idea or a simple accessory for any casual event. The light-weight Turkeyscarfis made from machine washable, 100% high quality triple-knit polyester. Product reviews for "Flagline Scarf"